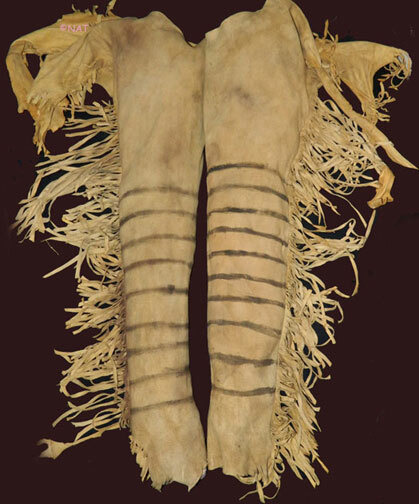 The oldest style of leggings were tubular in form. 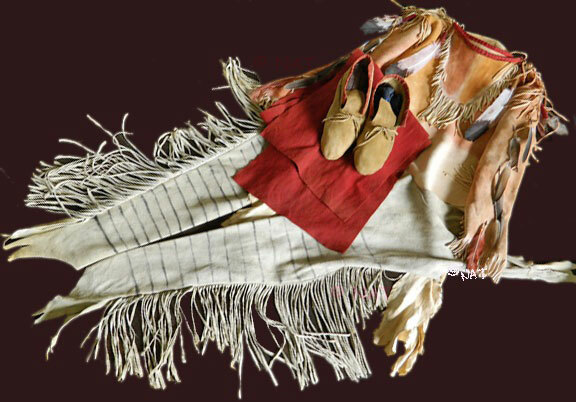 Leggings were made of buckskin and were often undecorated to start with, but they wouldn't stay undecorated for long. 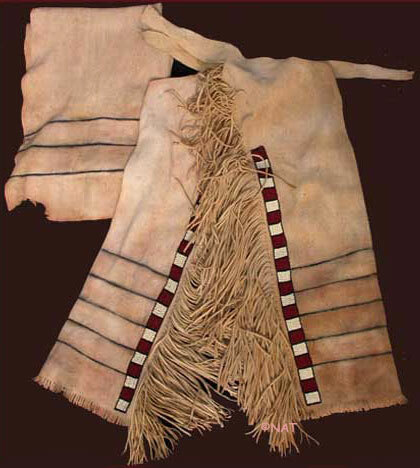 Some leggings received a touch of quill work, others were beaded or painted. Not all leggings were tubular in shape however. 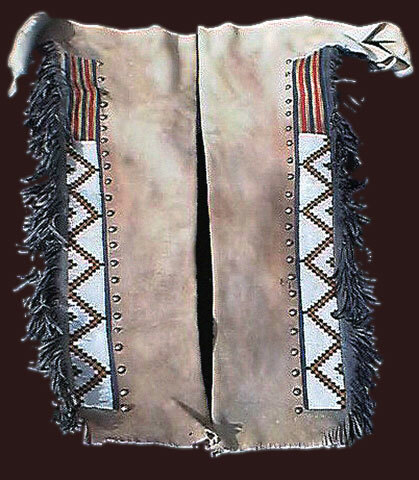 Some were made with wide angular flaps on the lower half, the flap itself being beaded or quilled and heavily fringed. 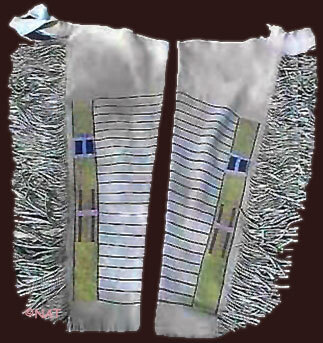 Each tribe's leggings had different characteristics. 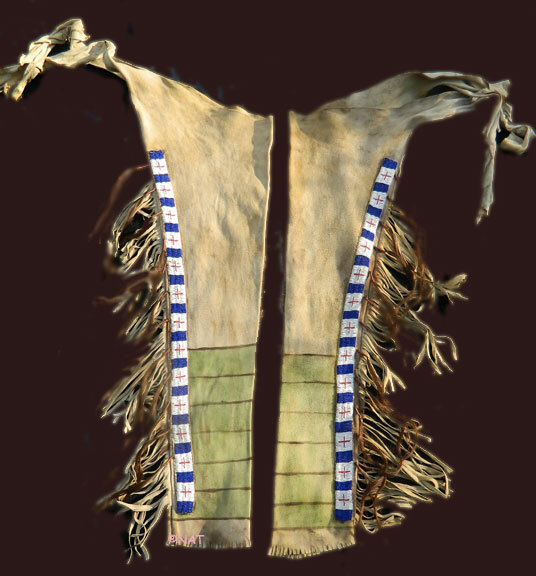 Cheyenne and Kiowa leggings were small, triangular two-piece flaps near the outside top of the leggings. 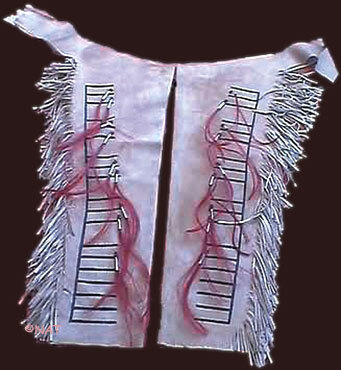 Dress leggings were covered and decorated in beadwork, quilled strips, paint and decorated with various embellishments. 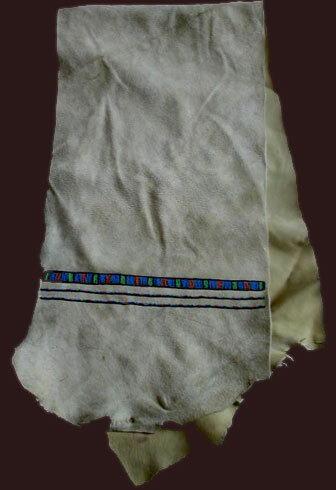 Most leggings were smoked over a fire to obtain a warm yellow color. 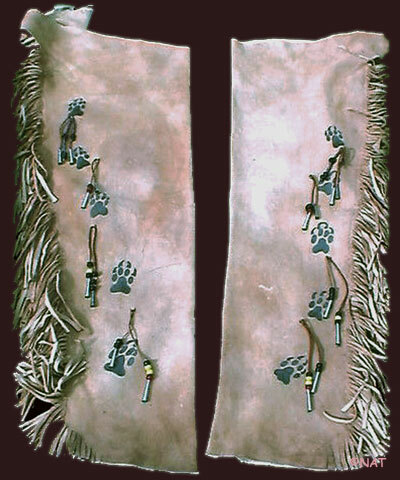 Quilled or beaded bands were placed on the leggings at an angle to show best when sitting on the ground or on a horse. Every aspect of showmanship was taken into consideration. War honors were also displayed by a series of horizontal stripes, usually black or blue on both leggings. The stripes on one leg were usually broader than those on the other leg and sometimes one leg had a different number of stripes. Each stripe accounted for a war or horse raid, the larger stripes usually being associated with a war record. Horizontal or vertical straight lines were also used on shirts, and for the same purpose. stills from the film "Finding Neverland" starring Johnny Depp and featuring leggings (above), beaded arm band, porky roach, etc. 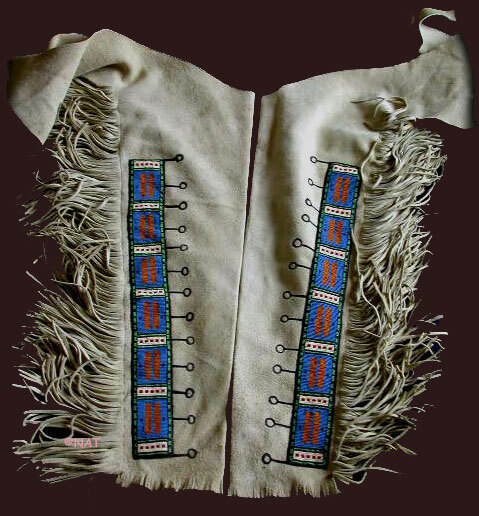 beadwork |paintwork | human hair locks, etc.